Mountain biking is awesome. But, finding a mountain bike that suits you can be a real chore if you’re new. In fact, simply walking into a bicycle shop can feel intimidating as you’re expected to at least know the basics of purchasing a bike. Suddenly, the clerk begins asking questions such as: “Do you want a Hardtail, a Full Suspension, or a Rigid type? Are 29-inch tires good, or do you prefer a 26er?” and you’re left with a feeling of dread and a need to escape. At that point, will you run away or will you make an impulse purchase that might leave you with a negative mountain biking experience? However, I am here to tell you, that you don’t have to worry about that scenario anymore. We’ve come up with a comprehensive list of mountain bikes that are suited for both beginners and veterans of the sport. Additionally, for all the new riders out there willing to try the awesomely tough and rugged sport of mountain biking we’ve added a guide that will help you make an educated purchase instead of simply choosing from our selection should you prefer to go a different route. 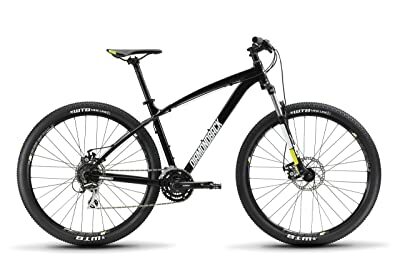 Do keep in mind though, while there is a larger variety of bikes out there, and these are suggested “beginner bikes”, it doesn’t mean that veterans won’t be able to use it to purchase their own mountain bicycle if they wish to buy one this year. As such, without further ado here are our top six choices for best mountain bikes of 2019. 2 Seeking the Bike that is Good for You! Plenty of mountain biking veterans have heaped praise on the Diamondback Overdrive 29 Hardtail. But, if I was forced to choose between the Gravity FSX and the Diamondback, I will always go for the Gravity FSX. I have a soft spot for Full Suspension types and this bike is just up my alley. Featuring the world acclaimed Single Pivot technology, and a lightweight Hydroformed Aluminum frame, the Gravity FSX 1.0 is the perfect blend of speed, performance, and durability. As a bonus, the brakes on this baby are known as the Tektro Novela disc brakes which are among the best braking systems on any mountain bike, ensuring the safety of both rider and bike in almost any scenario, track, or trail possible. Now, I do want to mention this is my top choice for beginners, and it’s due to how creative the bike designers were. 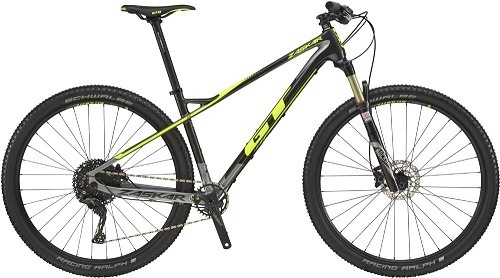 The Gravity FSX 1.0 is nearly tailor-made for both endurance racing and cross-country riding. Easy to install and repair. Requires routine maintenance on a regular basis. A hardtail bike for the generations that is sure to please everyone from beginners to veterans, the Diamondback Overdrive 29er. Built with solid specs and a tough frame built to last, the Diamonback is a solid purchase worthy of praise. Made from 6061-T6 aluminum alloy frame and Tektro Auriga hydraulic disc brakes, along with some SR Suntour XCR shock absorbers, the quality in this bike is undeniable. The Diamondback is popular in Cross-country, as well as endurance riding, and with a price tag that sits just below 600 dollars, it’s definitely a top choice for any beginner. Word to the wise though, the bike does not come with a kickstand. Comes with all the tools to assemble the bike. The brake’s quality leaves a bit to be desired. Head tube limits performance due to being non-tapered which limits upgradeability. As I mentioned before, I have a huge soft spot for Full Suspension Bikes. 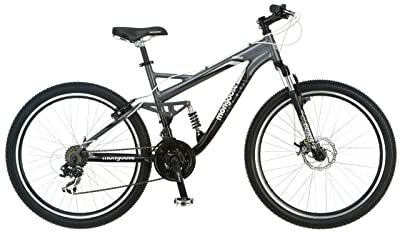 The Mongoose Detour FS is simply another top choice for beginners looking to buy an affordable bike. However, simply because it’s cheaper doesn’t mean it is lacking in quality or aesthetics. Unlike the previous two models however, the Mongoose is made out heavy aluminum vice the lightweight; but, because of this, it’s also more durable. Additionally, the 21 speed Shimano derailleur means that shifting gears is a breeze, helping you maintain momentum at any given time. Unlike, the Diamondback though this one does come with a kickstand. Shimano derailleur is awesome for shifting gears. Heavier than other models due to the aluminum frame. Only utilizes 26-inch wheels vice 29ers. Another hardtail candidate worthy of praise, the GT Zaskar is a worthy purchase that is not only affordable, but also top-notch quality and pedigree. Available in sizes ranging from 26” all the way to 29ers and with features such as tapered head tubes and wide axles the GT Zaskar is one the bikes I most definitely recommend to beginners as its versatility allows beginners to customize their ride according to their preferences. The gears on this baby feature a Shimano SLX drivetrain which as mentioned earlier in the Mongoose are among the best available in the market. But, once you’re done shifting gears take a look at the shock absorber. Outfitted with a RockShox 30 Gold TK fork (which is designed for Cross-Country riding) it will keep your ride planted safely along the trail. Plenty of options for customization. Shimano SLX drivetrain performs excellently when you’re shifting gears. RockShox 30 Gold TK Fork is not particularly good for major bumps and rocky trails. Vilano bikes are known for their snappy and responsive aluminum frames that are great for dirt trails, cruising around town, or even dirt roads. Featuring a Shimano drivetrain, shifters, and both rear and front derailleurs along with some mechanical disc brakes, the Vilano Ridge is certainly quality at an affordable price. As a bonus, the Alloy Mag Wheels look amazing and come on a 26” frame. Shimano equipment is top of the line. Arrives only partially assembled and requires the installation of a few parts. Only available in 26” tires. Weighing a solid 30 pounds, and manufactured by Framed, the Marquette Alloy is a solid choice for any newbie out on the prowl. Framed actually keeps the cost down on their bikes by manufacturing their own components and the lower price should by no means discourage you from purchasing their products. The SRAM GX 1×11 drivetrain doesn’t have the usual quantity of gears that other bikes do, but it should still do a fair job at getting you over the mountain trails with relative ease. Additionally, the 27.5” tires do a good job at absorbing the bumps on the road you’ll encounter. The RockShox Reba RL fork is good for XC, and does an excellent job at keeping you steady even in rocky roads. A tapered head tube along with large frame might feel different, but it does provide you with extra stability at high speeds. Adjustable brake levers for different hand sizes. Lower costs due to company both manufacturing and producing the bike. Is only available on 27.5” tires. These are our top choices for mountain bikes of 2019, but now it’s important to look at the other factors that come when you try to purchase a new bike. Seeking the Bike that is Good for You! The first thing you need prior to mountain biking is a good mountain bicycle. Buying a new mountain bike is fairly easy, but if you want to make your mountain biking experience a positive one then you’ll need to find a ride that suits your body type. If your bicycle is not a good size for you, then you’ll find yourself suffering from a combination of neck and back pains, balancing problems, constant falls, stress injuries and even potential impacts to your crotch from the top tube. Essentially, if you don’t have a good sized bike for your body, you’ll find yourself in a plethora of pain and unable to enjoy the experience of outdoor biking (as much). 1. 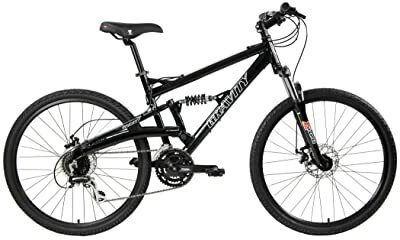 Full Suspension Bike – One of the most popular types of mountain bikes are the full suspension models. They are defined by their stability and efficiency as both tires feature shock absorbers to provide stability for both the rider and the bike. An additional benefit is the added traction from the shock absorbers allows you to maintain positive control of the bike in most terrain types. Unfortunately, due to the amounts of moving parts on the FS bike, they also require the most maintenance of the three mentioned on this list. 2. Hardtail – The hardtail mountain bike is a hybrid between the rigid types and the full suspensions. 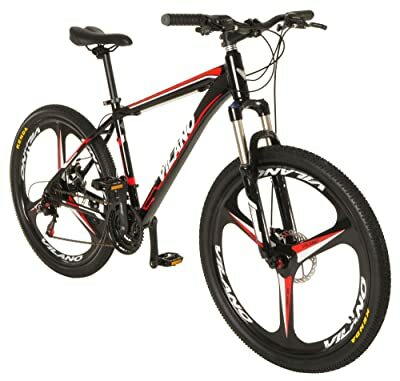 They feature a rigid rear tire, but have a shock absorber in the front wheel Primary benefits of using the hardtail consist of a better power transfer between pedals as the back tire isn’t wasting energy on absorbing shocks, but decent enough traction as the front tire absorbs shocks effectively. As a bonus, the hardtails don’t require nearly as much maintenance as the FS bikes. 3. 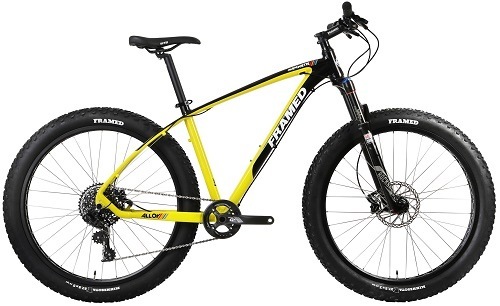 Rigid Type – As the name implies, this type of mountain bike doesn’t have any type of suspension on the tires. The lack of moving parts on these also keeps maintenance cost low, but if you’re going to use these for mountain trails I recommend using wider tires and avoid filling them up to the max with air as the additional bounce helps absorb impact from the terrain. The aforementioned components can’t be changed from location so it’s important you find ones that suit you or that appeal to your tastes (preferably both). When adjusting the seat and handlebars you must make sure they’re parallel to each other. By setting them up at the same height, you will provide your body with a riding position that won’t cause abnormal bends in your back as you lean forward. You’ll notice riders doing this during races such as the Tour de France in fact. As far as the seat height, though you’ll need to make sure that you create a distance that will allow you to pedal without causing discomfort to your knees, legs, or feet. An important benefit of adjusting your seat is that depending on the height you’ll shift your gravity center which allows for both climbing and descending with ease. For example, when climbing, ensure your seat is extended enough to give you 90% of a leg extension; this will permit you to use your muscles to their maximum capacity and lets you climb with ease. On the contrary, by lowering your seat you’ll shift the center of gravity in your body and give yourself a better sense of safety and control when you’re going down the more tricky parts of the trail. Keep in mind that the majority of bikes allow you to adjust the angle of the seat, but please keep it parallel to the ground as it allows for better posturing of the back. Finally, once you found a bike and adjusted it to your body; you’ll need to find the right size tires. 26-Inch tires – The average mountain bike features this type of wheel, however lately there has been a small shift in the market towards the 29ers wheels. 29-inch tires – Durable, rugged, and perfectly balanced for rough terrain, the 29ers are some of the best tires for outdoor biking. These tires have the downside of being a bit slow in acceleration, but easily match the speed of other top quality tires once you get pedaling. 5 Inch tires – The in-between of the 26ers and 29ers, it’s basically a combination tire with a good balance of uses for the roads and mountains. The 27.5ers have good acceleration and balance which allow it to handle sharp turns better than the 29-inch tires and the thicker size provides more durability than the 26ers. 24 Inch tires – Suitable for children and made to accommodate shorter legs. 20 Inch tires – Depending on the size of the child these might be a better fit than the 24”. 700c – This tire size favors hybrid bikes that can be used on both the roads and mountains. 650c and below – For children and small adults, anyone who is below 5’4 can use the 650c and below. I understand this information might seem like a lot. But, if you at least have some rudimentary understanding of what you’re looking at, then that will make your purchase that much easier. But, before you go out and make a lifetime purchase please ask the retailer for a test ride. When you’re trying out the bicycle ensure you’re comfortable and can maneuver it properly. Make a list of the ones who feel the best, and remember if after an hour or two of riding you’re experiencing pain then that particular bike is not for you. Q: What kind of mountain bike should I get? The three mountain bikes that I mentioned, Hardtail, Full Suspension, and Rigid all have different advantages and disadvantages. However, if you’re literally starting out with no experience then I recommend a full-suspension. You’ll spend more time on maintenance, but you’ll also have a stable ride as the shock absorbers do their best at keeping you closer to the ground. Q: What’s a good price range for a beginner? I never recommend spending more than a grand for a beginner. The majority of these bikes (if not all of them) are priced under $800.00 and if you’re a casual rider just starting out, I recommend going for anything below that threshold. Typically though the more expensive the bike the lighter it will be. Q: Does the brand really matter? Absolutely, all of the companies and brands we mentioned on this list have been reputable sources of mountain bikes for years. Whenever you go to a bicycle shop and ask a clerk, I guarantee you they’ll point towards one of these brands. My biggest concern is always going to be the warranty. Ask the clerk about the company’s warranty policy on the bike, a lifetime warranty is a life saver. Word to the wise though, I never recommend buying bikes at sporting-goods stores. Q: What kind of brakes should I get? I always recommend disc brakes instead of rim ones as you’ll ensure your safety in wet/damp areas. Q: Should I buy one online? You can absolutely buy online because they tend to offer better deals. But, if you want to be clever about it; I recommend going to a bike shop and looking for the model, ask to see it first and then make your decision. It depends on your body size and frame. All bikes have different geometries that will feel different to an individual. Some people have shorter torsos, other people have short legs, but each bike will have a distinct feel depending on their body. As long as you can sit correctly, and not experience any pain after a few hours you should have a decent bike on your hands. Q: Are there bikes with more gears than the standard 21? Yes, there are bikes that feature more gears than the usual. I actually recommend bikes with more gears because they make steep climbs substantially easier. Finding a bike that fits you is extremely important. Not only will you avoid potentially harming your body, you’ll ensure that your rides are comfortable and enjoyable. Keep in mind that these models are only our top choices, and there might be others out there which suit your needs better. However, the models mentioned here have stood the trial by fire from plenty of veterans who swear by their quality. More than likely though, you’ll find exactly what you need by looking at any of these bad boys the next time you go to a store or online retailer. Cringe worthy material. 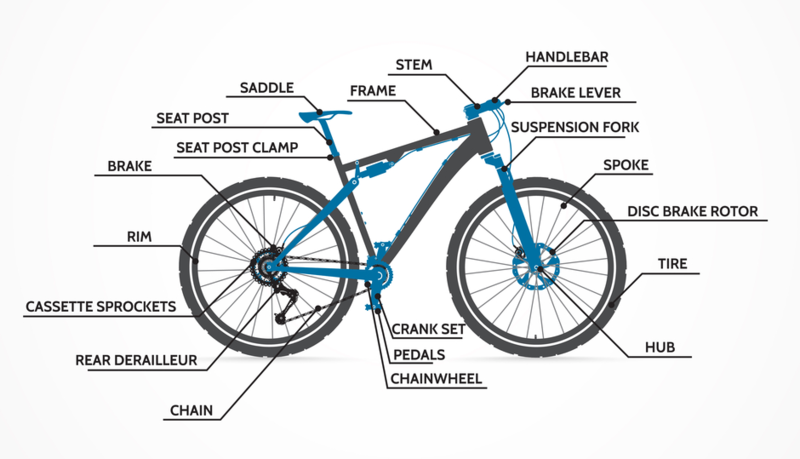 As an advanced, lifetime mountain biker and mountain bike mechanic, this guide needs to be corrected in a few places. Firstly, without being subjective, the best entry level bikes are hardtails. This is a hard fact. Compared to a full suspension equivalent of the same price, there’s a better price-quality ratio and you are going to get a bicycle that is much better in terms of performance and longevity. Plus sized tires now give more traction and cushion, hence more confidence than can a skinny-tired, pogo-sticked suspended bike. More gears don’t yield better results. They are heavier, more prone to failure (as there are more mechanical parts), difficult to adjust, and the huge front chainring catches on logs. You’re not getting 21 gears, as about 1/3 of the gear combinations feel the same at the pedals. 2x10s are much lighter and have the same number of “usuable” gears, if not more. 1×11 gearing, scoffed at before, was pioneered by leading mountain bike racers and companies. But where did the 3 chainrings up front come from, you ask. The answer is: road bikes. The size of their rear cassettes was limited by the freehub mechanism, their gearing adapted to the torque-hungry style of the sport (instead of rotational speed of mountain biking). 27.5 tires are actually the industry standard for mountain bikes, and by far the best adapted tire size to the sport. They offer the playfulness of 26 inch wheels as well as the obstacle-leaping characteristic of the 29 inch wheels. RockShox, Fox, Manitou, DVO are the only serious fork brands. Suntour is a joke, heavy, easily broken, pogo-stick feel (on their entry level forks). Still, a RockShox entry level XC TK SL 30 is far superior to a mid range Suntour fork. Experience speaks for itself. Also, buy from true mountain bike brands (Vilano isn’t one, for example) that know what they are doing, sponsor riders you approve of, and contribute to making mountain bikes better and better. Brands like Specialized, Surly, Kona, Trek, Giant, Pivot, Diamondback, Transition, GT, Marin, Breezer, etc. Mountain biking is one heck of a fun sport and we mountain bikers want to share the fun, so don’t make the mistake of buying 1999 bicycles in 2018 and head over to mountain bike magazines, like Mountain Bike Action, DirtRag, and others, for better guidance. Thanks Fernand for great experience!